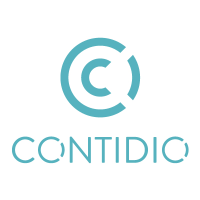 Contidio is a one-stop-shop for all brand managers, content marketing and communications teams. It provides high quality, original content from leading brands and other trusted sources. What Content Marketing solution do you use? Pressly is the operating system for your content marketing strategy. Create destinations where you capture and retain engagement, generate more leads via your curated or original content. Improve discovery, distribution and ROI. Anyleads is an email marketing software that comes with email sequences, follow emails, tracking management, and drip campaigns. Appinions provides an opinions-powered platform that makes it easy to identify, analyze, monitor and engage with influencers across social and traditional media. We provide a marketplace for creators to pitch pilots or completed projects to distributors and purchasers on an international scale. BaseCase Interactive is a content marketing software-as-a-service company that provides spreadsheet-driven web-apps are communication tools which visualize customers economic evidence in an interactive format. Blogpros is a tool for share posts on blogs. * We monitor all Contindio reviews to prevent fraudulent reviews and keep review quality high. We do not post reviews by company employees or direct competitors. Validated reviews require the user to submit a screenshot of the product containing their user ID, in order to verify a user is an actual user of the product. Hi there! Are you looking to implement a solution like Contindio?